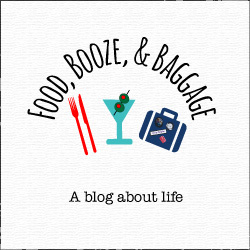 Before I get into my goals, I want to welcome another #childfree lady to the Childfree Are We Bloggers List!! Cece of Mahogany Drive wrote an amazing blog post, “We Don’t Want Kids”, about her (and her husband) choosing to be childfree. I don’t talk about it enough here, but I’m so glad other women are talking about their choice to be childfree. Honestly, in the past month I’ve interacted with two women who were truly shocked (and not in a bad way) that there are couples who choose as a lifestyle to be childfree. Their responses were centered around not realizing or knowing any couples who chose to do that, or that is a path other’s choose. Thank you for sharing Cece!! Now onto Clear The List. I can’t wait to hear what you are working towards. 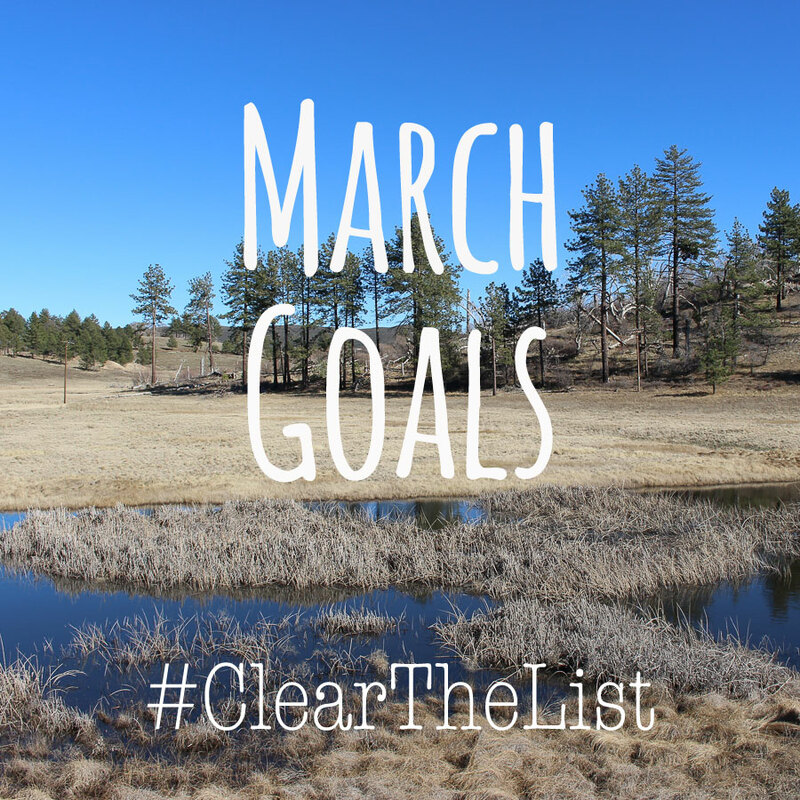 Join me and my co-hosts, Esther from Local Adventurer, Lindsay from Lindsay Does Languages, and Shannon from Eurolinguiste in encouraging each other in reaching our goals, and #clearthelist. Linkup your goal setting post below and cheer your fellow bloggers on with their goals. 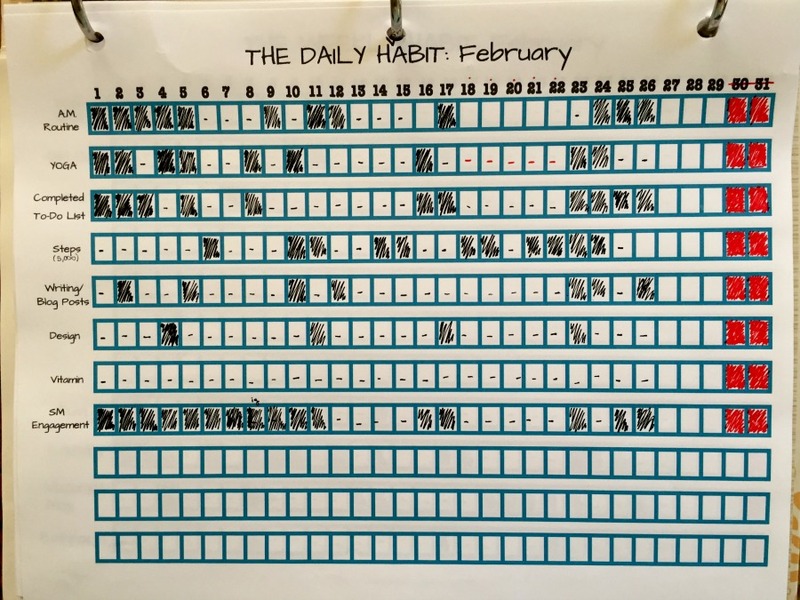 This month was much better in terms of me remembering to track fro my daily habits, so I feel good about that. 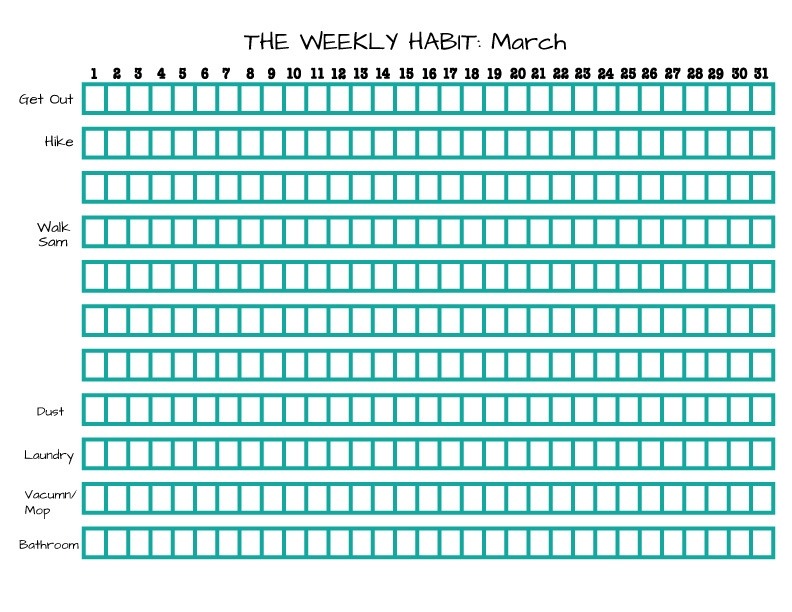 Weekly habit sheet not so much, and part of that is b/c P was doing a lot of those items for me (umm dog and cleaning), I did record some of his cleaning mainly so I could reassure myself the cleaning was getting done. Sam walking I only record if I do it during the day. I did get two hikes in this month, even though I thought for sure that would not happen, I’m very proud of myself for making it a priority (and for P also making it a priority). The title picture above was from one of our hikes, it was a cool landscape…both hikes were great. One day I will share more pictures of them :o. Also you will notice that I’m throwing the towel in on taking a vitamin daily (at least for now). I’m really going to focus on reaching my daily step goals this month. I know I’m not being active enough. To be honest it is hard to pull myself away from the computer and commit to the time it takes me to get the 5000 steps in. We will see how I do on this one this month. I say it’s a focus, but honestly above all else I want to work on, BHG is #1. 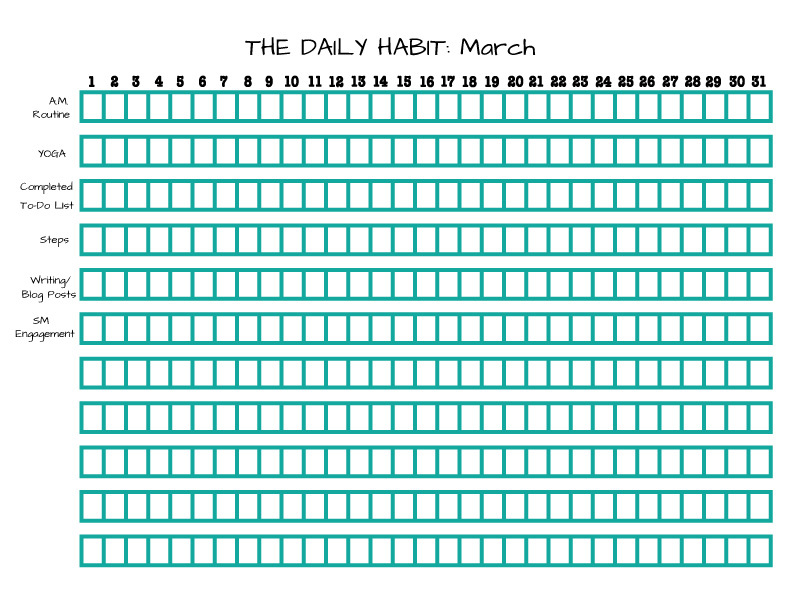 I’m feeling good about March, and looking forward to getting a handle on all my to-dos for BHG. I’m also determined to join back in for Show Us Your Books this month and share what I read in January and February. I do take notes after reading each book, but it is just getting the post together. 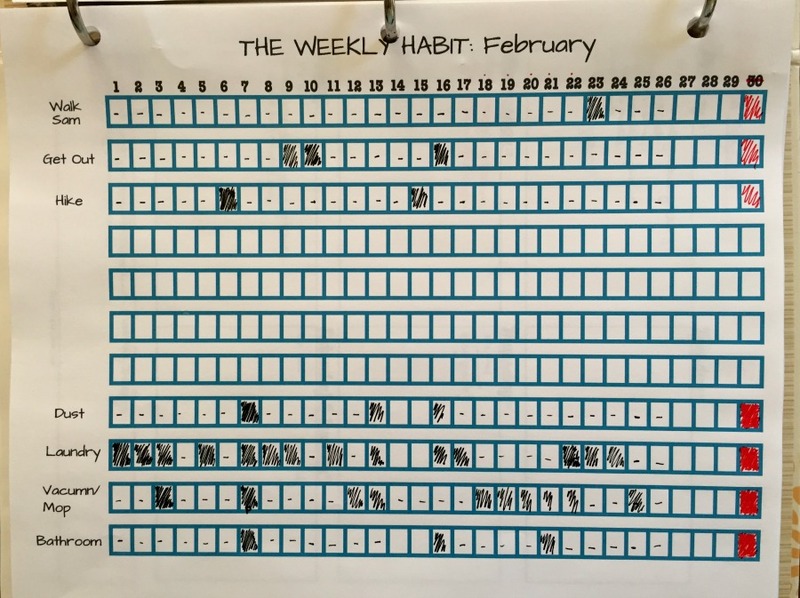 I would like to get the Portland trip post up this month too, but no promises 🙂 Besides being super focused on the business, here are my weekly and daily habit trackers. You can get a blank tracker for printing here. Share your goal posts below if you got one!! If not let me know what you are planning for March! !